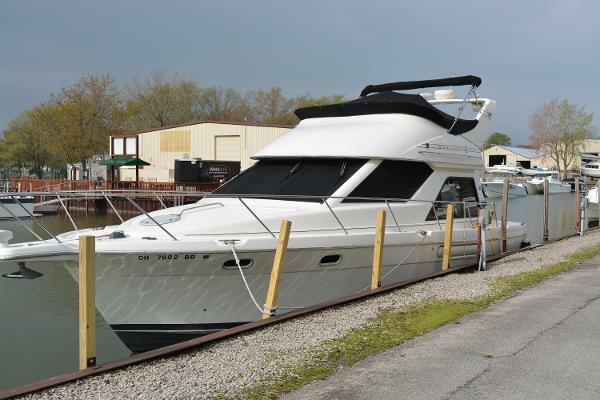 2000 Bayliner 3788 Command Bridge Motoryacht Very lightly used and very well cared for, the "Hydrotherapy" has 187 original hours on her 6BTA 5.9 Cummins diesels. Loaded with all of the desired factory options and tastefully decorated in the interior, you won't believe she is a 2000 model year vessel. 1997 Bayliner 3788 Command Bridge Motoryacht Bayliner 3788 Motoryacht 1997 equipped with twin Cummins 6BTA5.9 inboard diesel 315HP Preliminary listing, more information coming soon!!!!!!!!! 1999 Bayliner 3788 Command Bridge Motoryacht he Bayliner 3788 Command Bridge combines livability, performance, contemporary styling, and a long list of standard features for extended cruising comfort. Upper and lower helm stations feature full instrumentation, polished stainless steel wheels, and effortless hydraulic steering. Aft, a fiberglass transom allows easy access from the self-bailing cockpit to the full-width transom door platform and boarding ladder. For privacy and spaciousness, the forward stateroom offers an island double berth, hanging locker, and ample storage. The head compartment includes a molded-in vanity, marine toilet, and enclosed bathtub with shower. A second stateroom features a large double berth and generous hanging locker. The large salon features a fully-equipped galley, lounge, and wide-view windows. 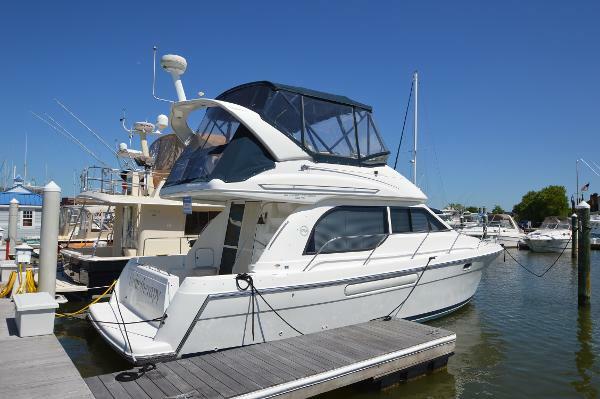 1996 Bayliner 3788 Command Bridge Motoryacht ----Priced Reduced!! !-----Motivated Seller!! !--- Priced Reduced!!! !----- This is a very well taken care of Bayliner. She offers a lot of up grades from the galley to the new wood floor. For a 1996 this boat still has a very modern feel for it. She is powered with twin Cummins diesel engines. It has a little over a 1000hours. Right now she sits in the water awaiting sea trial. 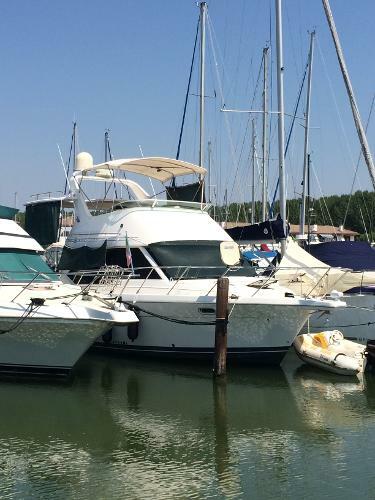 The seller of this beautiful vessel is very motivated to sell her! Call today for more details!! 1997 Bayliner 3788 Command Bridge Motoryacht SHE IS A BEAUTIFUL "BAYLINER" SHE COMES WITH OUR "SPECIAL DELIVERY PACKAGE" THAT CONSIST OF A FULL SURVEY, MAJOR SURVEY REPAIRS COMPLETED, BOTTOM PAINT, ZINCS, WASH DETAIL, TRANSOM NAME, FULL TANK OF FUEL, CAPTAINS TRAINING, SEA TOW PACKAGE, WINTER STORAGE AND A HUGE DISCOUNT ON A BOAT SLIP IN OUR MARINA. THIS IS ALL COMPLIMENTARY AT THE LOWEST PRICE ON THE MARKET. 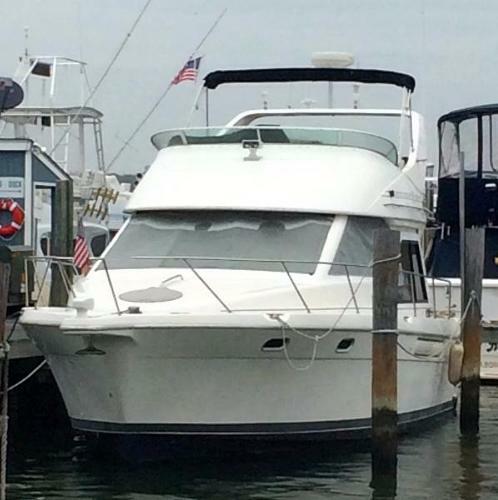 THIS BOAT IS THE VERY POPULAR "3788 COMMAND BRIDGE MOTOR YACHT" BUILT BY BAYLINER MARINE. SHE IS POWERED BY TWIN 315 CUMMINS FRESH WATER COOLED INBOARD DIESELS WITH ONLY 1200 HOURS. 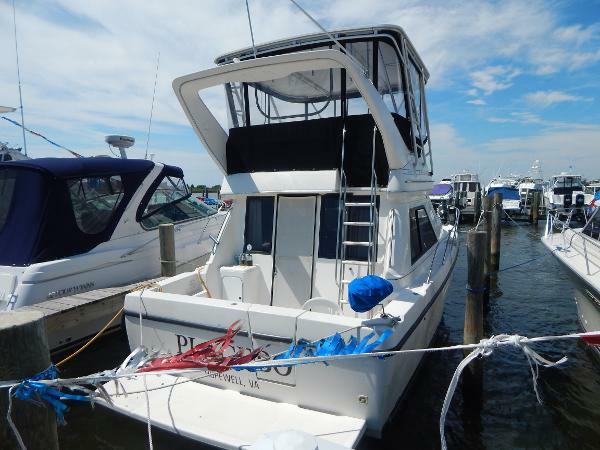 THIS BOAT IS NICELY EQUIPPED WITH AIR CONDITIONING, REVERSE CYCLE HEAT, GENERATOR, ELECTRONICS, COMPLETELY EQUIPPED GALLEY, TWO STATIONS, WINDLASS, INVERTER, ROD HOLDERS, COCKPIT SHOWER, SWIM PLATFORM, CUSTOM HARDTOP WITH FULL ENCLOSURE, AM FM CD PLAYER, DVD PLAYER, CENTRAL VAC SYSTEM, TELEVISIONS AND SO MUCH MORE. She was constructed on a lightweight, solid fiberglass hull with low transom deadrise and a wide beam. Her two-stateroom, galley-up floorplan is efficiently arranged with a queen berth in the forward stateroom and a double berth in the small second cabin that extends below the standard lower helm. A bathtub is fitted in the head compartment, and the engineroom (accessed via two gas-assist salon hatches) provides good service access to the motors. Outside, the cockpit is large and the side decks are wide and safe. Two steering stations are on this boat. 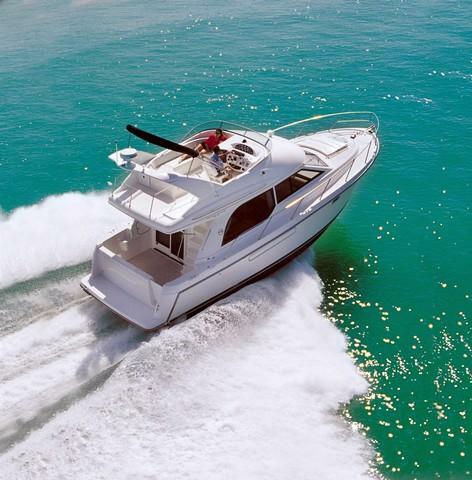 Comfort, efficiency and all around good looks make this boat a real buy. CLICK ONTO FULL SPECS FOR PICTURES AND INFORMATION.